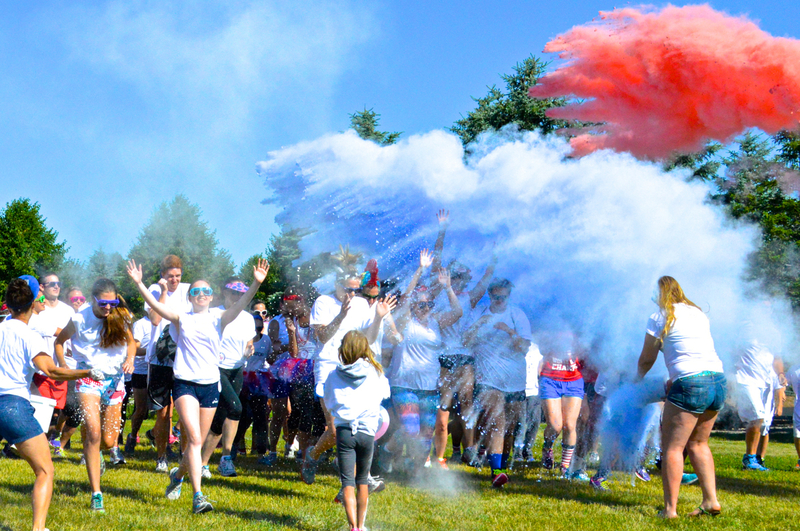 Join Grand Traverse Resort and Spa Saturday, June 30, 2018, for Stars, Stripes, and Splatter, a 5k Color Race! This is a color run style event with color stations featuring patriotic colors. The 3.1 mile course will start at Jazz Live Field on the grounds of Grand Traverse Resort and Spa and loop back to the start area, with portions of the race running on Lautner road. The race will be followed by an after-party with refreshments, an inflatable obstacle course, and color toss. We are pleased to announce that in 2018 we will continue our partnership with Habitat for Humanity-Grand Traverse Region! We hope to support local Habitat-GTR efforts through volunteer partnerships as well as by helping to grow donations and interest. July 5th is Mile night in Traverse City. Join us for the Cherry Mile sponsored by the Traverse City Track Club and Lake Michigan Credit Union. This year we'll have elite athletes, high school stars, an open mile and a kid's mile. The Cherry Mile events all take place on the parade route through the closed streets of downtown Traverse City. Elite races will begin at 4:45pm. The Cherry Kid's Fun Run will be at 6:00 p.m., followed by the festival's Junior Royale Parade at 6:30. Imagine...You're lining up with thousands of runners just like you on a beautiful Traverse City morning. You enjoy the picturesque views of Grand Traverse Bay as you push yourself to beat last year's time. You come to the final stretch downtown and you're re-energized by thousand of cheering fans all the way to the finish line. Don't just imagine yourself participating in the Meijer Festival of Races. Set a goal for yourself and be there on last day of Cherry Festival. Sign up early and save money on your registration. Just Dune It! Join us for the Seventh Annual Dune Dash 4-mile run/walk on Saturday, August 18, 2018. The race course showcases the Sleeping Bear Heritage Trail located in the Sleeping Bear Dunes National Lakeshore. 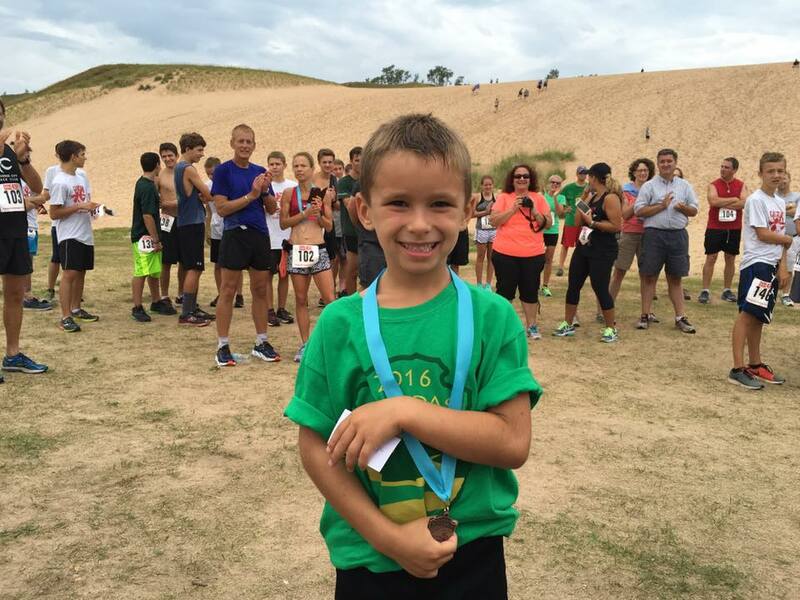 Starting and finishing at the base of the Dune Climb, runners follow the paved Sleeping Bear Heritage Trail past rolling dunes and beautiful forests to the turn around point at historic Glen Haven. 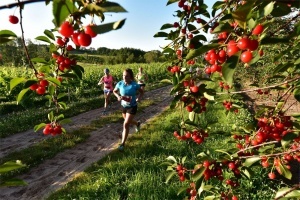 Don't miss your chance to experience one of the most beautiful scenic runs in Michigan. All proceeds from this event will go to the maintenance and continued construction of Sleeping Bear Heritage Trail. For more information go to www.dunedash.com. 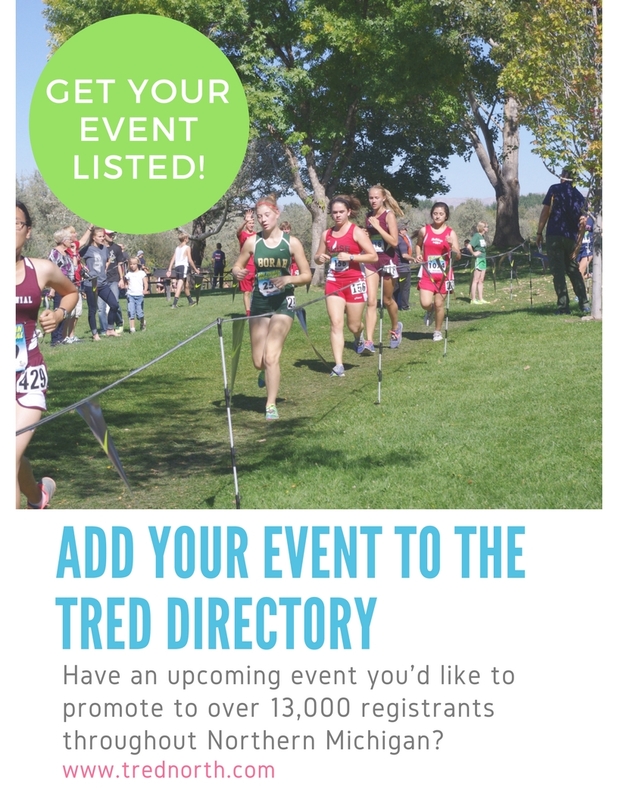 The TRED email newsletter is a monthly email blast that reaches over 13,000 people in the Grand Traverse area. Our goal is to share information and to bring the power of numbers to each event, promoting quality athletic events in our amazing location. Be sure to check out our event calendar to find out what is going on in and around Traverse City. If you are a runner, a cyclist or anyone that appreciates healthy living this is the place for you. Visit our TREDNorth website at trednorth.com.